There are some who don’t notice any difference between Pepsi and Coke. There are also some tragically mistaken individuals among us who claim to prefer Pepsi. This post is not for any of those people. This is for those of us who recognize the pure, untainted wonderfulness that is Coca Cola. Today we celebrate this beautiful, magical temple of Coke at the very edge of Main Street USA. 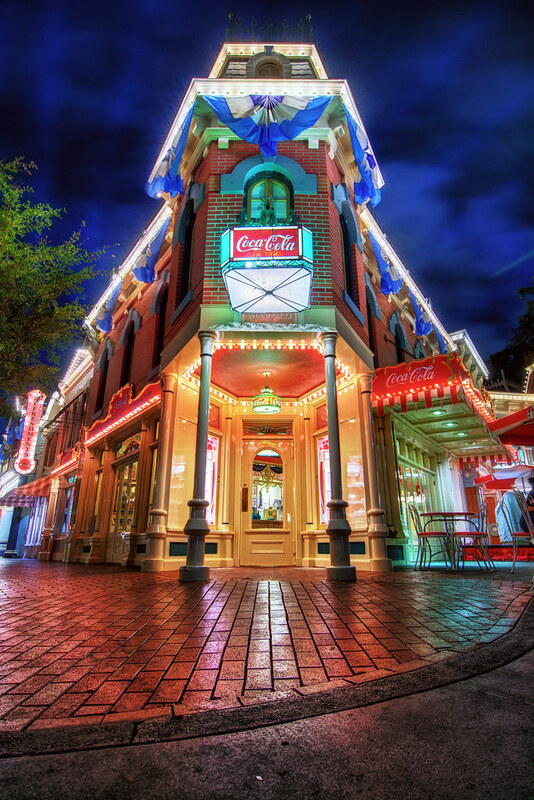 This entry was posted in Main Street USA and tagged Coke, HDR, night. Bookmark the permalink.